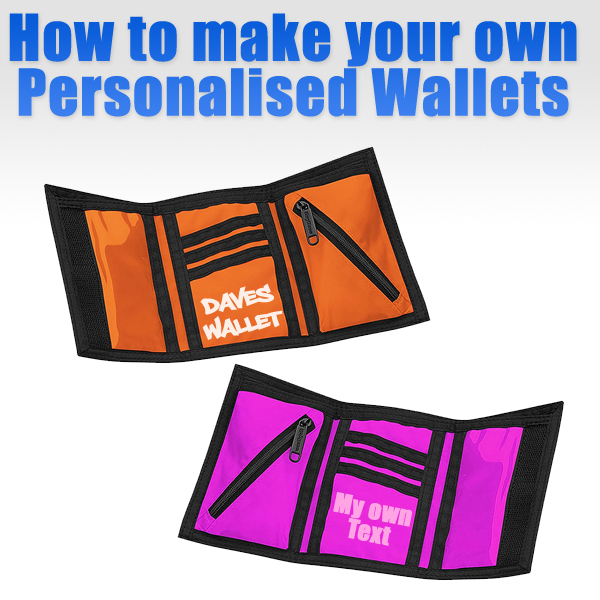 Today, I will be showing you how easy it is to make your own personalised wallet. Whether you want to just name your wallet, or use it as a great promotion for potential customers. Suitable Wallet (must be a material wallet ie. Polyester / Cotton) - Velcro wallets are an excellent choice. Getting the right size for the iron on letters is the key to making your personalised wallet look perfect. We have put together a simple page where you can enter the dimensions of your wallet print area, and one of our designers will let you know the perfect size letters to order. In some cases we can make tiny iron on letters to make your perfect gift - but this does depend on the font chosen - which we can advise on. Once your letters have arrived, you need to align then. 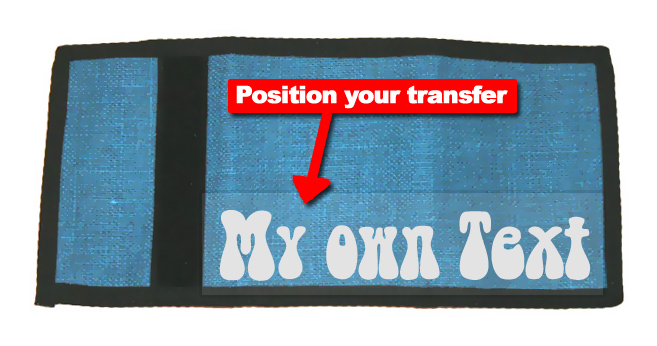 The beauty of our transfers is that they made on a clear plastic backing - allowing you position your transfers exactly where you need them. Please ensure the wallet is laid flat - and empty! Once positioned, cover the area with your clean white paper - making sure not to move the transfers. Following our instructions, place the heated iron onto the white paper - making sure not to have the iron turned up too high (this may melt the wallet). Press down for 10-15 seconds, and lift off - making sure not to the move the iron whilst pressing. Lets the wallet cool down and remove the white piece of paper. Slowly start to peel the plastic backing - if the transfers are not fully stuck to the wallet - repeat the process - but with more pressure. Once the plastic backing has been removed, you can re-iron the letters by placing the paper over the top of the transfers and ironing for a few seconds. Your personalised wallet is now complete - give yourself a pat on the back! Personalised Wallets with "Love Gaming" and "70's Child" ironed on. 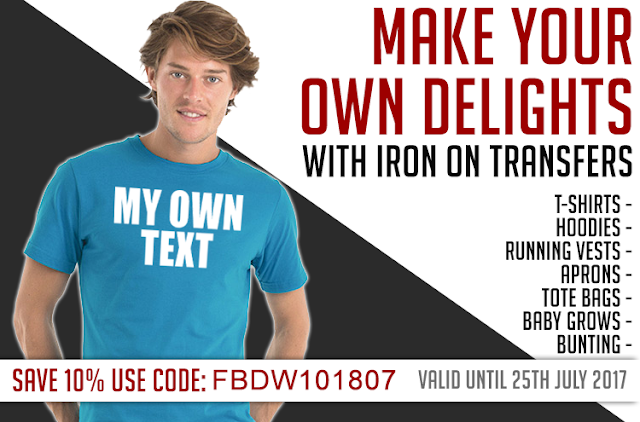 Remember, although we have only shown you how to use iron on letters with wallets, you can use any of the designs from our online transfer shop - its the same material - so have some fun!